What is the best power inverter on the market in 2019? That’s exactly what we will look in to today. Whether you need a high powered option that can handle multiple devices, or a smaller unit to merely charge your laptop, you will find a solution here. We have carefully selected 5 top rated power inverters to cover a range of budgets and requirements. For our findings at a glance, just head to the table below. For an in depth review of each of our choices, plus a comprehensive buyer’s guide, keep on reading. There are different types of inverters available today, and one needs to select the right inverter type for amount of power required. Beyond the issue of output power, inverters can be rated based on their construction design, circuitry, and type of AC output produced, along with their average run. Using this criteria we have selected 5 of the best power inverters for cars. The Peak PKCoAW 3000 is a heavy-duty modified sine wave (MSW) car power inverter with a high surge tolerance and a standard power output of 3,000watts. Its peak surge power output is capped at 6000watts. It also comes with an array of protective features including short circuit protection, overheating protection, and low-or-high voltage protection. These protection system are backed by an alarm mechanism that alerts the user of any dysfunction. It also incorporates soft-start technology, while its circuitry supports automatic shutdown when the car battery runs low. It is designed and manufactured by Peak Auto, a subsidiary of the Illinois-based Old World Industries LLCs. and mounting brackets that allows one to perform hard wire installation. This compact inverter weighs about 17.4pounds; and is 20.8inches long, 9.8inches wide, and 5.9inches tall. The USB outlet handles up-to 2.1 amperes of power draw. The unit also has 4 AC power outlets (receptacles) which allows one to plug in upto 4 appliances at any time. If one of these appliances is an extension socket that relays power 4 or 6 other AC appliances, then the surge output can be automatically activated depending on the cumulative power needs of all the connected appliances. Even so, the 6000 watts power surge lasts for a very short time, usually less than a minute before the overload mechanism is activated to counter the distress and shed some load. This model has an ETL certification which means that it complies with the (legal) stipulated safety standards set for electronic equipment. Its efficiency rating is 80percent, and the working temperature range is -10degrees Celsius (14degrees Fahrenheit) to 40degrees Celcius (104degrees Fahrenheit). Its storage temperature range is -20degrees Celsius (-4degrees Fahrenheit) to 85degrees Celcius (185degrees Fahrenheit). Even so, the storage air humidity can range from 10percent to 90percent. The current output of this model is 28A with the AC frequency range being 57-63Hz. For the inverter to work, it draws in 1.2A of 11-15V DC power in a load free state, with the current draw increasing up-to 290A if an output load of 3000watts is required. Its low-or-high voltage protection is activated when the DC source feeds the inverter with 16.5 volts or more (high voltage protection), or less than 9.5V (low voltage protection). There is also a DC fuse requirement with the fuse rating being 500A and the fuse type being the ANL fuse. The maximum sustained output of this model is 3900watts after a power output surge. This inverter comes with a 12months limited warranty. Standard power output of 3000watts. Peak surge power output of 6000watts. Power source is 12V DC car battery. AC output steadied at 110-120V. Short circuit protection, overheating and low-or-high voltage protection system. Automatic low-battery shut down mechanism. Surge power output only lasts for less than a minute, and hence this model cannot handle sustained output requirements of more than 3900watts. The Peak PKC0AW is a high-quality, heavy-duty MSW car inverter with a high surge tolerance and a standard power output of 3,000watts. Its peak surge power output is capped at 6000watts for less than a minute. It also comes with an array of protective features including short circuit, over-temperature and low-or-high voltage protection. It also incorporates soft-start technology, while its circuitry supports automatic shutdown when the car battery runs low. It AC output is 28A of 110-120V at 57-63Hz. These features along with its affordable pricing make it the best premium high power converter in this review. The BESTEK is a MSW car power inverter with an admirable surge tolerance and a normal power output of 2,000watts. Its peak surge power output is 4,600watts. It also has an array of protective features including mufti-protection which incorporates 6 50A external fuses, audible overload alarm, warning LED light, and surge protection. Moreover, its input and output systems are isolated from each other so that a current overload in the input circuit does not harm the output circuit. This creates some form of modularity as only the input will need to be replaced, and re-integrated to the overall circuit architecture. The unit incorporates soft-start technology. It also features a cigarette lighter adapter and battery clamps. Its compact design allows for easy storage, transport and safe usage. It is designed and manufactured by Bestek. battery cables, and mounting brackets. This compact well-built inverter weighs about 10.4pounds; and is 10inches long, 5.3inches wide, and 6.5inches tall. This makes it smaller than Peak PKC0AW. It has 3 AC power receptacles. Just like the Peak PKC0AW, the power surge of Bestek lasts for a very short time, usually less than a minute before the overload mechanism is activated. The efficiency rating of Bestek is over 60percent. For this inverter to work, it draws in about 0.8A of 12.6V DC power in a load free state. When load is introduced, it can require up-to 15V DC. Its low-or-high voltage protection is activated when the DC source feeds the inverter with 16 volts or more (high voltage protection), or less than 10V (low voltage protection). The maximum sustained output of this model is 2300watts. Its output current is 20A with the AC frequency 60Hz. Even so, if one calculates the output current based on the standard power output of 2000watts, and output voltage of 115V, then the output current averages 17.39A which is still adequate for most household consumer appliances. Nonetheless, this output current rating means that appliances requiring more than 18A can function poorly. This inverter comes with an 18months limited warranty. Standard power output of 2000watts. Peak surge power output of 4600watts. Has a low-or-high voltage protection system. Surge power output only lasts for less than a minute, and hence this model cannot handle sustained output requirements of more than 2300watts. The Bestek SQUEEVI19224 is a high-quality MSW car power inverter with an admirable surge tolerance and a normal power output of 2,000watts. The Krieger is a medium-duty MSW car power inverter with a high surge tolerance and a standard power output of 1100watts. It’s low price point balanced with great out put and features makes this our number one budget choice. Its peak surge power output is 3000watts. It has a short circuit protection, over-temperature protection, and low-or-high voltage protection, with these protection system being linked to an alarm mechanism. Moreover, its LCD display shows the input voltage, battery level, and output voltage; and any dysfunction can be noticed when aberrant metrics are displayed. This model also comes with an installation kit, 2 USB charger ports, and an in-line fuse. Its compact design allows for easy storage and transport. It is designed and manufactured by Krieger. As other standard USB power outlets, the USB outlet of this model handles up-to 2.1 amperes of power draw. It has also 2 AC power receptacles. This compact lightweight inverter weighs only 4.41pounds; and is 11.8inches long, 6.7inches wide, and 3.5inches tall. This makes it lighter than either the Bestek or the Peak PKC0AW. Even though it has a surge capacity of 3000 watts and this surge can be attained for less than a minute, it is not recommended that one overloads it as the resulting overheat can potentially shut down the inverter before it is able to deliver any surge. This model has CSA standard C22.2 and UL standard 458 certification which shows that it complies with the legal safety standards set for electronic equipment. Its efficiency rating is about 90percent. The current output of this model is 9.6A with the AC frequency range being 59-61Hz. To work this model draws in 0.5A of 10-15V DC power in a load free state, with the current draw increasing up-to 118A if an output load of 1100watts is required. Its low-or-high voltage protection is activated when the DC source feeds the inverter with 15.5 volts or more (high voltage protection), or less than 10V (low voltage protection). There is also a DC fuse requirement with the fuse rating being 40A and the fuse type being the Internal Blade fuse. The maximum sustained output of this model is 1110watts – 1100W from the dual AC receptacles plus 10W from the USB ports. This inverter model comes with a 3-year limited warranty. Standard power output of 1100watts. Peak surge power output of 3000watts. Surge power output only lasts for less than a minute, and hence this model cannot handle sustained output requirements of more than 1110watts. The Kriëger KR1100 is an affordable high-quality, medium-duty MSW car power inverter with a high surge tolerance and a standard power output of 1100watts. Its peak surge power output is 3000watts. It features short circuit, over-temperature, and low-or-high voltage protection system that is linked to an alarm mechanism. Its moderate output and affordable price makes this the best budget power converter on the market today. This is a high-quality pure sine wave(PSW) car inverter that incorporates microprocessor-based pulse width modulation (PWM) for regulation of power output, with the standard output being 1500watts. Its peak surge power output is capped at 3000watts. It comes with 2 PowerFlex cables, remote control switch (with a 16.5 long remote switch cable), and an ANL Fuse which allows it to be used with either car batteries or solar-powered batteries. Its protective features include short circuit protection, over-temperature protection, and low-or-high voltage protection. There is also a LCD display that displays voltage and power output metrics. It also incorporates soft-start technology. Its compact design allows for easy storage, convenient transport, and safe use. It is designed and manufactured by WindyNation. This compact, well-built inverter weighs about 11.53pounds; and is 17.1inches long, 10.4inches wide, and 5.4inches tall. Its 3000 watts power surge lasts for less than a minute before the overload mechanism is engaged. The efficiency rating of this PSW inverter is 90percent, and the working temperature range is 0degrees Celsius to 60degrees. The thermal protection mechanism is engaged if the temperature exceeds 65degrees Celsius. Its storage temperature range is -25degrees Celsius to 70degrees Celcius. Likewise, the storage air humidity can range from 20percent to 80percent. The current output of this PSW model is 13A with the AC frequency range being 60Hz. To function in a load-free state, this model needs to draw, it draws in 1A of 12-13V DC power. Its low-or-high voltage protection is activated when the DC source feeds the inverter with 16 volts or more (high voltage protection), or less than 10V (low voltage protection). The maximum sustained output of this model is 1500watts. Standard power output of 1500watts. Surge power output only lasts for less than a minute, and hence this model cannot handle sustained output requirements of more than 1500watts. The VertaMax PIN-1500-12P is a well-built, high-quality PSW car inverter that incorporates microprocessor-based pulse width modulation (PWM) for regulation of power output, with the standard output being 1500watts. Its peak surge power output is capped at 3000watts. In our opinion, the VertaMax is the best PSW inverter in this review. This is a lightweight model that belongs to the IVUFB series of MSW car power inverters. The Ampeak has a standard power output of 400watts, and its high surge tolerance allows it to achieve a peak surge power output of 800watts. It comes with 2 battery clip cables, a cigarette-lighter plug cable. Its smart protection system incorporates a LED indicator light and an audible alarm mechanism that is engaged when the over-voltage, overheating, overload, low voltage or short circuit protection is activated. Its compact design allows for easy storage, convenient transport, and safe usage. It is designed and manufactured by Ampeak. The USB outlet handles up-to 3.1 amperes of power draw. This compact, lightweight inverter weighs only 1.5pounds, which makes it the lightest inverter in this review. It is 5.9inches long, 4.4inches wide, and 2.3inches tall. Its The color scheme is black and dark orange. It has 2 AC power receptacles. Relatedly, its 800 watts power surge lasts for less than a minute, and it is advisable that one does not load the inverter with any appliance that consumes more than 400watts. This ETL certified model complies with the legal safety standards set for electronic equipment. Its efficiency rating is 80percent, and the working temperature range is 0degrees Celsius (32degrees Fahrenheit) to 40degrees Celcius (104degrees Fahrenheit). The current output of the Ampeak is 3.6A with the AC frequency range being 60Hz. For it to work in a load-free state, it needs to draw in 0.3A of 11-15V DC power. Its low-or-high voltage protection is activated when the DC source feeds the inverter with 16volts or more (high voltage protection), or less than 10V(low voltage protection). There is also a DC fuse requirement with the fuse rating being 40A. This inverter comes with a 18months limited warranty. Standard power output of 400watts. Peak surge power output of 800watts. Surge power output only lasts for less than a minute, and hence this model cannot handle sustained output requirements of more than 400watts. The Ampeak IVUFB0400 is a compact, lightweight MSW car power inverter with a standard power output of 400watts. Its high surge tolerance allows it to achieve a peak surge power output of 800watts. For those looking for a reliable inverter with mid-range power output, this could very well be the answer. Electrical energy is transmitted in 2 forms; as unidirectional Direct Current (DC) flow, or as Alternating Current (AC) flow where the polarity is reversed periodically at a constant rate measured in a unit called Hertz (Hz). The power transmitted through the national grid and into homes for end consumer use is AC power. However, during power blackouts, or when one is engaged in activities in an off-grid location, an alternative power source is needed to power appliances. It is also cheaper and easier to produce power using readily available consumer electrical generating units, such as solar panels and car batteries-alternator pack. Even so, these units produce DC power which is needed to power AC appliances. This requires direct current to be converted into alternating current. The electronic equipment that converts DC power into AC power is called a power inverter. Expectedly, an inverter never produces power and depends on power input from the DC source to work. Its operational design determines its input DC voltage, AC output voltage, current frequency, and power handling capacity. Older power inverters feature both electronic circuitry and rotary mechanical parts in its structural design, while modern static inverters lack rotary mechanical components and have a more pure (electronic) circuitry design. Each inverter has its own basic requirement of a constant DC power source to meet the demands of powering the components in the inverter so that it the inverter can convert DC to AC power. Next, there is a minimum and maximum amount of DC power that the inverter can convert to AC power. Therefore, for the inverter to operate, it requires a minimum input voltage which is sometimes the only voltage that the inverter can handle though some inverters can handle a range of input voltages. This input voltage varies depending on the type of power inverter, and the most common input voltages are 12volts(V), 24V, 36V, 48V, 200-400V, and 300-450V used in electric cars battery packs that power vehicle-to-grid electrical systems. On the other hand, the output voltage features a distinct waveform, which varies according to the inverter used with the most common waveforms being the sine wave and modified sine wave. The other output waveforms are the square wave, pulsed sine wave, and the pulse-width modulated wave. The AC output frequency of the inverter is determined by the electronic circuitry and transformers incorporated in the model. The most common output frequency is 50-60Hz. Regarding output voltage, inverters are designed to produce a steady AC voltage of the same magnitude and quality as the existing grid line voltage. Even so, some high-output, high-end power inverters allow for selectable/variable output voltages. The power output of an inverter is expressed in watts(w) or kilowatts(Kw), and it describes how much the inverter can produce to run AC appliances. It also indirectly describes how much is required, or drawn, from its DC source. If multiple batteries are used to operate the inverter, they need to be arranged either of 2 configuration settings; serial configuration and parallel configuration. In serial configuration, the batteries are daisy chained in series so as to increase the overall input voltage and runtime (how long it runs) of the inverter. However, if one battery dysfunctions, the entire system dysfunctions. To counter this problem a parallel configuration is used where the batteries are connected in parallel, and this also increases the ampere-hour(Ah) rating of this battery pack/set. Still, to avoid rapid discharge which can trigger an over-current and even electrical fires in this battery set, diodes and intelligent monitors featuring automatic switches are installed in the parallel battery set network. The basic circuit design of an inverter is described hereafter. The key components in this circuit are an electromechanical switch, input terminals, and a transformer. The DC power source is connected to the input terminals, and in between the input terminals is the primary coil-connected switch. The positive input terminal relays DC power through the primary coil of the transformer, which then exits the transformer circuit via the negative terminal. Even so, when current moves through the primary coil from the positive terminal, it activates the switch which immediately connects to the positive terminal hence disrupting the DC circuit as no current reaches the negative terminal. This power interruption deactivates the switch and the DC circuit is reconnected, and current flows then activates the switch which in turn interrupts the circuit; and this process continues ad infinitum till the DC power source is drained off of its electrical energy. The circuit interruption causes the electricity in the primary coil to be stepped up in the transformer, through the secondary coil, in a pulsating manner. Likewise, it also causes the current in the primary coil to alternate with each switching on and off of the electromechanical switch. It is this alternating current in the primary coil that is stepped up by the secondary coil of the transformer and then outputted through the inverter AC output. Inverters that use electromechanical switches are generally called vibrators or buzzers. Advanced inverters use a semiconductor-based or transistor-based switches in place of the electromechanical switches, and in their transformers feature split winding in the primary coil which allows the auto-switching devices to implement current alternation. Large capacity inverters use thyristors in their auto-switching devices which allows them to handle large power inputs and outputs. If there is only one transformer in the inverter, the electromechanical switch allows for a square wave AC current to be produced in the output terminals. This is because the polarity of the initial current wave is reversed in the subsequent current wave. Even so, such sudden polarity reversals is only suitable for low-sensitivity appliances such as heaters and lights, and it can cause humming in sensitive audio equipment. In this square waveform, the wavelength (width) and amplitude (height) of the waves can be attenuated or emphasized, and this allows for some harmonics to be eliminated and other amplified. This change of width in the square wave is called pulse-width modulation (PWM), and it allows the output voltage to be regulated. As expected,a fixed pulse-width wave results in a constant output voltage. If an output transformer is coupled to the primary transformer, the AC output has a sinusoidal waveform. This waveform is an aggregate of sine waves of different frequencies. Usually, the sine wave whose frequency is the same as the AC frequency in the secondary coil of the primary transformers – that is the same frequency as the square wave – is termed a fundamental component. Therefore, the the sinusoidal waveform has a fundamental component, and other sine waves whose frequencies are multiples of the fundamental component frequency; and hence these sine waves are called harmonics. This sinusoidal waveform is coarse because of harmonic distortion occasioned by different sine waves being transmitted concurrently. To address this issue, inductors and capacitors are used to filter the waveform which ultimately improves the waveform quality. These filters are applied in the output transformer component so as to allow quality waveform to be produced in the AC socket output. Low-pass filters only allow the fundamental component to pass to the AC output. A resonant filter only allows a fixed frequency of AC power to the output. More complex filters are used in adjustable frequency inverters. An inverter that modulates harmonic distortion to produce a smooth AC sine waveform that is well-suited for highly sensitive electronic appliances, such as High-Fidelity(HiFi) audio systems, is called a pure sine wave inverter, or simply sine wave inverter. If an inductor and capacitor is fitted in the filter circuit, so called LC circuit, harmonics can be eliminated from square waveforms, and this type of inverter is called a resonant inverter, as their filtering process transforms a square wave into a sine wave. Generally, resonant inverters have multiple LC circuits arranged serially or in parallel. An inverter that modulates 2 square waves into a 3-level sinusoidal waveform is called a modified sine wave inverter. They are generally cheaper than pure sine wave inverters, as they contain less components for filtering and modulating their waveforms. 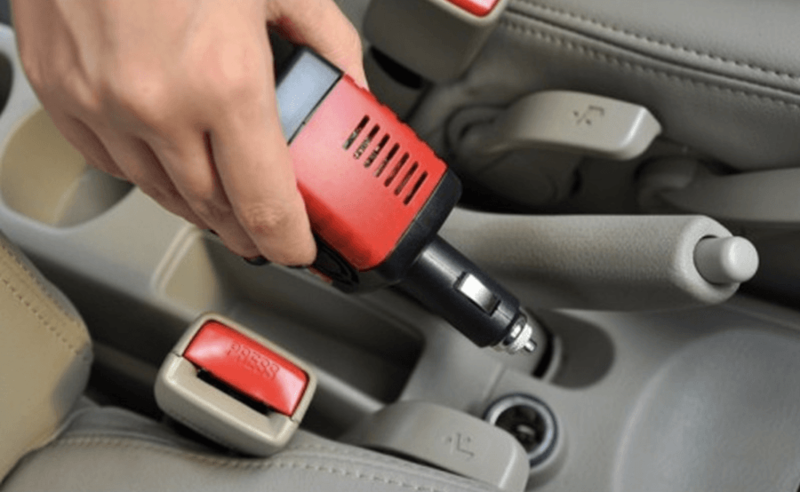 Driving with an EVAP System Leak – Is it Safe?